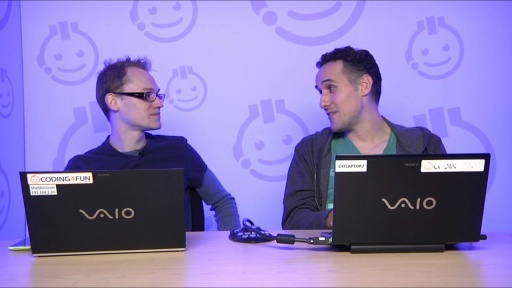 In this lesson, I want to talk about the XAML syntax we wrote in our first pass at the SoundBoard app. Hopefully you could see how the XAML we wrote impacted what we saw in the Phone preview pane. It's relatively easy to figure out the absolute basics of XAML just by looking at it, but I want to point out some of the features and functions that may not be obvious at first glance. My aim is by the end of this lesson you'll have enough knowledge that you can look at the XAML we write in the remainder of this series and be able to take a pretty good guess at what it's doing before I even try to explain it. 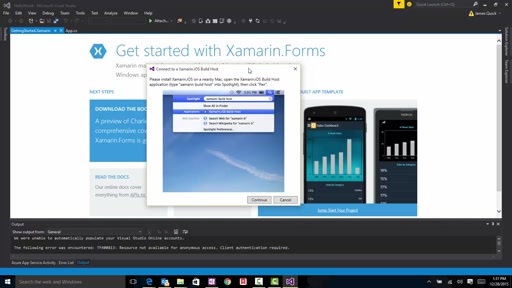 In the previous lesson, I made a passing remark about XAML and how it looks similar to HTML. That's no accident. XAML is really just XML, the eXtensible Markup Language. I'll explain that relationship in a moment, but at a higher level, XML looks like HTML insomuch that they share a common ancestry. Whereas HTML is specific to structuring a web page document, XML is more generic. By "generic" I mean that you can use it for any purpose you devise and you can define the names of the elements and attributes to suit your needs. In the past, developers have used XML for things like storing application settings, or using it as a means of transferring data between two systems that were never meant to work together. To use XML, you define a schema, which declares the proper names of elements and their attributes. A schema is like a contract. Everyone agrees—both the producer of the XML and the consumer of the XML abide by that contract in order to communicate with each other. So, a schema is an important part of XML. Keep that in mind … we’ll come back to that in a moment. I've added this C# code in the constructor of my MainPage class. I'll talk about the relationship between the MainPage.xaml and MainPage.xaml.cs in just a moment, but we've already seen how we can define behavior by writing procedural C# code in the MainPage.xaml.cs file. Here, I'm merely writing code that will execute as soon as a new instance of the MainPage class is created by writing the code in the constructor of that class. ... we can now see both buttons. The larger issue is that we have two (almost) identical buttons ... one created declaratively in XAML and the other procedurally in C#. I'm basically creating a new instance of the Button class. When I set attributes on the Button element, I'm basically setting properties on the instance of the Button class. … you would get a compilation error. The XAML parser will perform a conversion to turn the string value "Left" into the enumeration value System.Windows.HorizontalAlignment.Left through the use of a Type Converter. A Type Converter is a class that can translate from a string value into a strong type—there are several of these built into the Windows 8 API that we’ll use throughout this series. In this example, the HorizontalAlignment property, when it was developed by Microsoft’s developers, was marked with a special attribute in the source code which signals to the XAML parser to run the string value through a type converter method to try and match the literal string "Left" with the enumeration value System.Windows.HorizontalAlignment.Left. … you’ll get a compilation error because the Type Converter can’t find an exact match that it can convert into the enumeration value System.Windows.HorizontalAlignment.Left. So, the first characteristic of XAML is that it is a succinct means of creating instances of classes. In the context of building a Windows 8 application, it is used to create instances of user interface elements, however XAML is not just a user interface technology—it could be used for other purposes in other technologies. While you're looking this over, remember what I said a moment ago—about schemas being a part of XML. If that's the case, then where does this XAML promise to adhere to a schema? See lines 3 through 8 ... there are SIX schemas this MainPage.xaml is promising to adhere to. Each is defined with the xmlns attribute. The first xmlns defined in line 3 is the default namespace—in other words, there's no colon and no word after the colon like you see in lines 4 through 8. The rest of the namespaces in lines 4 through 8 will use name / colon combination. So, just to be clear ... the :x or :phone is the NAMESPACE, that is associated with a SCHEMA (what we've called a contract). Each element and attribute in the rest of this MainPage.xaml MUST ADHERE TO AT LEAST ONE OF THESE SCHEMA's, otherwise the document is said to be invalid. In other words, if there's an element or attribute expressed in this XAML file that is not defined in one of these namespaces, then there's no guarantees that the compiler—the program that will parse through our source code and create an executable that will run on the Phone—the compiler will not be able to understand how to carry out that particular instruction. We would expect the element Grid and attribute Background to be part of the default schema corresponding with the default namespace defined at the location in line 3. What?! The schema doesn’t actually exist at that URL! That’s because the schema is not published in the sense that you can go to that URL and view it. Instead, a schema is simply a unique name, similar to how we used Namespaces in C# to identify two classes that may have the same name—the schema (and therefore, the namespace in our XAML) keeps class names sorted out, kind of like a last name or surname. This URL, or more properly, we should refer to it as a URI (Uniform Resource IDENTIFIER … rather than LOCATOR) is used as a namespace identifier. The XML namespaces are instructions to the various applications that will parse through the XAML … the Windows Runtime XAML parser will be seeking to turn it into executable code, while the Visual Studio and Blend designers will be seeking to turn it into a design-time experience. But, what’s the difference? It’s subtle, but the second schema defines the intrinsic rules for XAML in general. The first schema defines the contract / rules for Windows 8 specific usage of XAML. In other words, the fact that we can work with the Grid, Button, MediaElement and the other Windows Phone 8 XAML elements without using a prefix means that they are defined in the default namespace. indicates that the PhoneApplicationPage class itself is part of this definition. 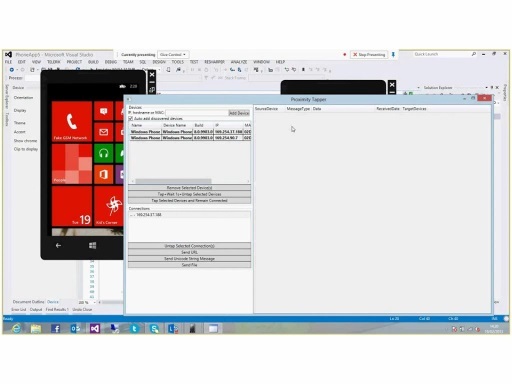 The PhoneApplicationPage derives from Windows.System.Controls.Page ... that just happens to be the same class that is a parent to Windows Presentation Foundation page classes, and Windows Store app page classes. 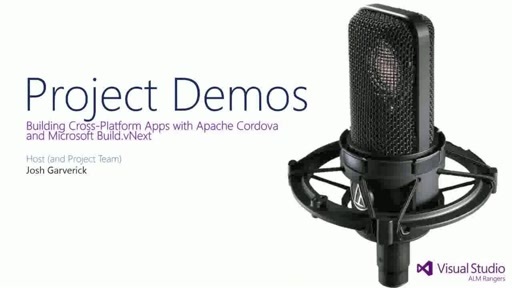 It has a lot of the base functionality shared by all three of these project types. So, the upside is that you're able to leverage what you learn in this series to building WPF desktop apps and Windows Store apps. There will be differences, but there's a lot in common, too! Lines 7 & 8 define namespaces and schemas that are used to allow Visual Studio's Phone Preview Pane on the left to display properly. These instructions are ignored at runtime, which is what line 9 is doing—when compiling the XAML code, ignore anything prefixed with :d.
Ok, I know there are some questions left unanswered … we could spend a lot of time talking about the specifics, but the main takeaway is that this code at the very top of each XAML file you add to your phone project does have a purpose, it defines the rules that your XAML code must follow. You'll almost never need to modify this code, but if you remove it, you could potentially break your application. So, I would encourage you to not fiddle around with it unless you have a good reason to. There are a few additional attributes in lines 10 through 14 ... we may talk about them later in this series. While it doesn't use the term Partial like it's procedural counterpart, it does indicated the relationship between the two. Why is this important? This relationship means that the compiler will combine the output of the MainPage.xaml and the MainPage.xaml.cs files into a SINGLE CLASS. This means that they are two parts of a whole. That’s an important concept … that the XAML gets compiled into Intermediate Language just like the C# gets compiled into Intermediate Language and they are both partial implementations of a single class. This allows you to create an instance of a class in one file then use it in the other file, so to speak. This is what allows me to create an instance of the MediaElement class called _audioPlayer in XAML and then call its methods or set its properties in C#. We’ll see more examples of this later in this lesson. since the Content property is the default property of the Button class. Select the Brush property to reveal the Brush editor. Make sure that Background is selected. Select the Linear Brush tab (middle tab). Move the selector all the way to the upper-right hand side of the color editor. A good example is the LinearGradientBrush. The term “brush” means that we’re working with an object that represents a color or colors. Think of “brush” like a paint brush … this particular paint brush will create a gradient that is linear—the color will change from top to bottom or left to right. Now, admittedly, you would NEVER want to do what I’m doing in this code example because it goes against the aesthetic of all Windows Phone 8 applications. But, let’s pretend for now that we’re expressing our individuality by using a gradient color as the background color for a Button. Notice how the <LinearGradientBrush.GradientStops> and <GradientStopCollection> elements are omitted? This is done for conciseness and compactness and is made possible by an intelligent XAML parser. First of all, the GradientStops property is the default property for the LinearGradientBrush. Next, GradientStops is of type GradientStopCollection and implements IList<T>, the T in this case would be of type GradientStop. Given that, it is possible for the XAML parser to deduce that the only thing that could be nested inside the <LinearGradientBrush ... /> is one or more instances of GradientBrush, each being implicitly .Add()'ed to the GradientStopCollection. So the moral of the story is that XAML allows us to create instances of classes declaratively, and we have a granular fidelity of control to design user interface elements. Even so, the XAML parser is intelligent and doesn’t require us to include redundant code—as long as it has enough information to create the object graph correctly. XAML is simply an implementation of XML, and relies heavily on schemas and namespaces to adhere to "contracts" so that different applications can create, interpret, display, or compile the XAML code. The purpose of XAML is to allow for a compact, concise syntax to create instances of classes and set their properties. We compared the procedural version of a button created in C# versus one created declaratively in XAML and saw how much less code was required. XAML requires less code due to it's built-in features like property type converters which allows a simple string value be converted into an instance of a class. For more complex property settings, XAML offers property element syntax which harnesses the intelligent XAML parser to rely on default properties and deduction to reduce the amount of XAML code required to express a design. We learned about the embedded syntax style and the embedded nature of elements which suggests a relationships between visual elements. For example, the PhoneApplicationPage contains a Grid for layout, which in turn contains input or other types of controls. These are represented with opening and closing elements representing containment or ownership. We learned about default properties; each control has a default property that can be set using that same style of embedded syntax. Thanks you. This lesson very helpful. I find XAML more easy than HTML and CSS because you can design and create on the same Mark up, which is not the case with HTML !! or not favorable to do so !! Thanks BOB! Is it possible if I relied on XAML instead of C#? @Yaman Maarrawi: I'm not really sure what you're asking. You will want to do your layout in XAML and respond to events using C#. So ... rely on both? Excellent tutorials. Deeply explained and very useful for beginners. Bob you are awesome....I appreciate your work a lot! 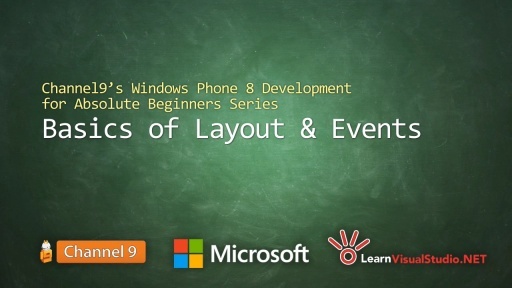 Do you have some video about WP8 Development with HTML5? @Everton: WP8 doesn't directly support HTML applications like Windows Store applications currently. You could do a WebViewer and there are examples out that do that. @Progr: I'm glad you are able to get some benefit from the videos despite our language differences. Thank you, my friend. @Rida221: Very nice, thank you! Glad they helped. Very helpful, thank you Bob! 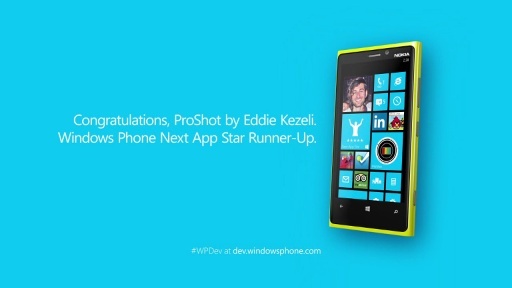 What about the style of Buttons in Windows Phone 8? 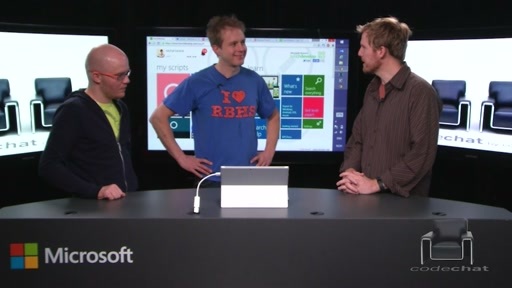 In Windows 8, we can find the App.Resources commented in the App.xaml. 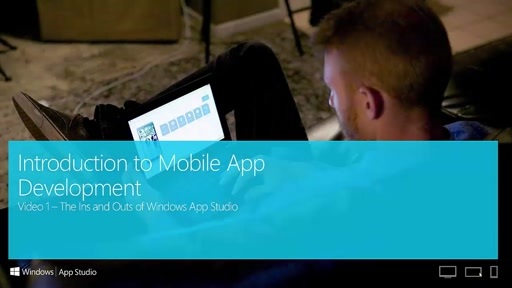 But in Windows phone 8, how can I create a appBarButton outside of the AppBar, for example? As per my knowledge,Windows phone users is very low than Android.Is it useful to learn windows phone. While setting the background color of the button, you used SolidColorBrush class but it's not coming in code intelli-sense. Can you help to fix this issue. I have fixed it by comparing my code with the solution provided. Actually we have to use the following name space which was missing from documentation. @Santosh: "The smaller the niche, the bigger the market." A rich man (actually, the richest man I know) told me that and I've lived by it for the last dozen years. I see great opportunity where there are millions of users but only thousands of developers. Just try getting your app noticed in the sea of crap filling the other platform's app stores. So as far as I'm concerned, yes. Can you point me to the exact step (above, in the text) where it is missing? I can make a change. Thanks! But just FYI ... in the future, no matter where in .NET examples you see this ... you type in a class name you want to use but it acts like it doesn't recognize it ... this is what professionals do: they use the shortcut the Ctrl + . (period) to show the quick-tasks menu under the class name. It will show the option to add the appropriate using statements. I do this dozens of time each day and you should too. Good luck! Execellent Tutorial !! No words to express!! I am having an error on the SolidColorBrush as it has the red line below it. It is my first day trying to create my first app for Windows 8 and I am not sure where is problem that makes the red line to appear. Hope that you can assist me with this so that I could put colors in the Background of the button. Thanks in advance! Oh Bob, No worries about my question. I forgotten to add the using statement System.Windows.Media for that new instant to be able to execute. Thanks once again! Great tutorial! Thank you, @Bob and @Clint, for these tutorials. This particular one covered ground that I'm, for the most part already familiar with, but even so there were things I didn't know about. For example, I didn't realize that a xmlns that wasn't named ((e.g. : :x="(something)") is known as the default namespace. Very handy! I don't understand why this should be, after all I am following your instructions, so what am I missing? @Doctor Who: do you have resharper installed? Nuts, I've just asked this same question again, but on the next lesson in this series. I'm sorry for duplicating my question. No, I don't have resharper installed, but I do have the Telerik tools installed, so maybe that's what's going on. @Doctor Who: like 2 versions ago with resharper, it would do what you are describing. What software are you using to record the screen and webcam at the same time? I am interested in creating help videos for my work and this is a much more personable way to create these help files. I am following the series. But when I type "myButton.Background = new solidcolorbrush(SystemColors.red);", I am getting an error . Can you please help me with that ? When you run into trouble, view our sample code for the lesson, those fully compile and run. Hi Bob... i'm from India. I watched your video and tutorials in pdf, really awesome bob. .
Its very easy to understand and its amazing. . I need a suggestion. Now i know well about Java and Android. . suppose that i learn Windows Mobile App development, will it cause problem to my career in future ? Cause My hobby is that always learning something. So Please Help me. .
What i want to do further ? But i need my future should be brightfull. . Thanks in advance . . i hope really someone will help me. .
@Rajeev Ulaganathan: There are two school of thought ... one is to be a generalist, the other, a craftsman. You can go deep or wide, but not both ... just not enough time. Personally? 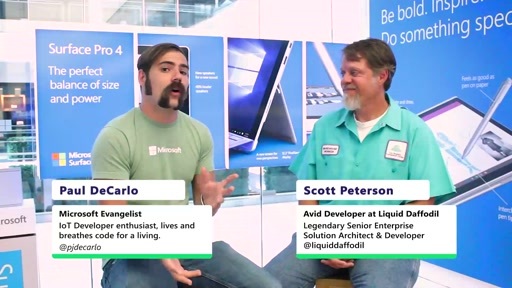 I'm "all in" with Microsoft technologies. I never even tried to install Eclipse or XCode or anything else. To me, that didn't help me towards mastery and craftsmanship of Microsoft's API's and technologies. And even at that, I'm still very narrowly focused within that niche. So, I would say figure out where you want your career to go and pursue that. @Bob tabor : How can i download these video with lower quality? @reza farhang: Yeah, mid-quality is the lowest unfortunately. This is more of a Channel9 / company issue than a Bob / screencast guy issue. To get Microsoft's attention, you should add that feedback ... see link in the footer of each page (below). As of now, you could let it run for a while OR could grab the MP3 and listen along with the text. I realize that's not idea, but at least you'll be able to get something out of it. I tried to add screenshots at key moments. Hope that helps, even if it is an unsatisfying answer. Great tutorial...learning a lot with them thumbs up to the team! Sir can u give me ur email address ??? I know it makes more sense to use XAML to write our apps and I am just being nit picky, but the reason you couldn't see both buttons in your example when running our app is because they were overlapped, but rather than messing with the margin couldn't you have just used HorizontalAlignment.Right??? Also still being picky, if you wanted to write using C# couldn't you have used Object initializers like so.. This way you can still have very succinct code. @dglambert: In all things related to software development, there are many ways to achieve just about any goal. The objective was not to teach how to write succinct code or every possible alternative regarding layout. The objective is to expose the qualities of XAML. If you missed that, then I failed you. I wanted you to see the forrest, not the trees. @Ajay: I am following the series. But when I type "myButton.Background = new solidcolorbrush(SystemColors.red);", I am getting an error . Can you please help me with that ? I am a true beginner and was pulling my hair out but this resolved it. 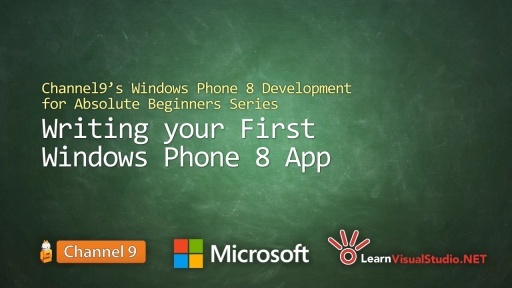 Great tutorial...learning a lot with but can u say how windows phone is better than android? @NinjaSpider: I recently purchased a Samsung Galaxy S4 and an iPhone 5s along with my Nokia Lumia 920 ... yes, I have three phones ... I'm trying to learn development across all three in my spare time. I don't know enough yet to comment on the TECHNICAL differences between the phone hardware or OS's. I only know my personal preferences from a consumer perspective at this point. I know there are others who are much more well versed in the technical areas than I am. (1) It's a tweakers dream ... you can change just about everything about the phone and which apps handle phone events, even the start screen, tapping on the button, etc. (2) It's too much power for the average person. It's as if they shipped R2-D2 in a kit and let you assemble and change out his functionality to your liking. However, unless you're prepared to tinker with your phone for days it will be maddening. At some point I had to have a friend walk me through how to get the most out of the phone. (3) Worst, it serves three masters. It has multiple personality disorder. Google, AT&T and Samsung are all vying for control of the device. My contacts are owned by AT&T and Google can't see them ... not sure how that happened, but makes sending texts absolutely frustrating. You can't uninstall the apps from any of those companies. I complained to a friend at Samsung and he agreed with me. He also said that when his wife got a new phone he had to set it up for her and she didn't like it. For me, simplicity is the key. I just want my phone to work, I don't need to tweak everything if it's obvious from the start. 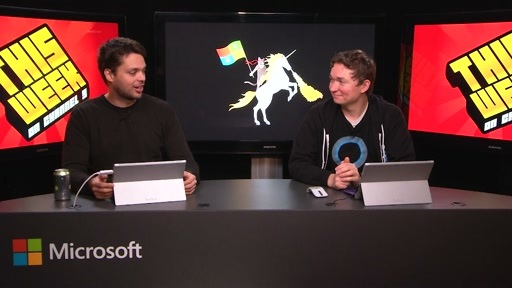 Thanks, that was a great overview of xaml. I understand so much new item I don't know it before In xaml but when I show your course I feel something difficult in understand hhh that for reason my English language is some poor but rely is very good explain and easy to understood. thank you for this explain Mr. Bob. Sir first of all the entire series is amazing and i would really like to thank all those people who have put in their valuable time and energy in making this series a success. 1. Why <grid x:Name="ContentPanel"> cant be written as < grid Name="ContentPanel"> (line 30). 2. What are phone , shell , x , mc after collen in lines 4-8. 3. What is the fundamental difference between schemas and namespaces . or are they synonymous, i am a bit confused . I am from India and a huge fan after C# series. I am just wondering about a thing. In this lesson you have told about how to declare a Button member in C# page (MainPage.xaml.cs). So my question is if an app has buttons declared using C# code then if it has better performance than ones with XAML or not, as XAML integrally does type conversions. @JasminMankad: no. I don't recommend pre optimize as well. Optimize when you need to. Hi Bob, why do i creat new button by C#, the preview not change, but when run in emulator, it run correctly. 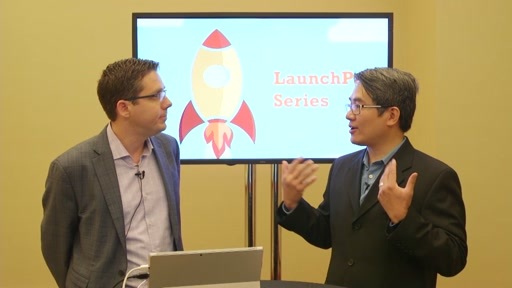 @Hieu:The preview is just showing you what the XAML will look like, so if you create a button (or another UI element) via code (C#) then that won't show up until the code runs. @ravikrana: I'm not sure what you're asking ... it looks like you've already done what you're asking to do? Please clarify. Many Thanks Bob. Love these series. Hello. First congratulation for the great videos. There is a typo in the writen part. In the part 4, the namespace is PetSounds and not SoundBoard. Thank you so much for these episodes on Channel 9. They are really useful and I never thought I would actually reach out to learn XAML. I find XAML easier than Drag and Drop development. I feel I can actually write all my code away from my computer in text files and then simply import them into Visual Studio. Windows Phone development is pretty much a simplified procedure - much better and faster than development on other platforms - thanks to you guys. My goal is to push app development on Windows Phone to its limit in terms of aesthetic, efficiency and usefulness. When you chose .wav files for your assets I assumed you would have to use a library to manipulate lossy compression formats like MPEG-4 and Windows Media. But I was wrong. I commend the guys at Microsoft. Great job! @Bob Will I need to download window 8 emulator separately???? Great Job as Always..Thank you. Great tutorial！！！Now I have a question raised ：When I use the Name or x: Name? Part 4 was fun. I think you did a great job speaking in Spanish though i cant lie it was kinda funny but overall fun and lots of much need information about XAML...Thank you!! from Solid to Colors. this appears underlined by a red line. How can I add this element? Do you know if in windows phone 8.0 or 8.1 is it possible to read contact groups from an app? I need to write an app to send sms to group with more than 25 users. In windows phone 8 groups have limit of 25 users. You can bypass those limit from outlook, but windows phone in those groups remove the "send sms" button..
Hi, How can I reverse the option where to choose whether to create a Windows Phone App 8.0 or 8.1, Please?